PennsylvAsia: Duolingo hiring Teaching Expert, Mandarin Chinese. Duolingo hiring Teaching Expert, Mandarin Chinese. Duolingo, the online language-learning platform, does not yet offer a Mandarin Chinese course, but it is preparing for one. It is hiring a Teaching Expert, Mandarin Chinese to work at its Pittsburgh headquarters (or to work remotely in-sync with its business hours). 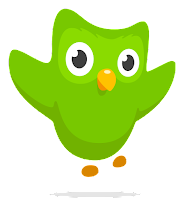 Use your expertise in teaching Mandarin Chinese to help Duolingo users learn better. Duolingo is looking for an experienced Mandarin Chinese language instructor who is a native or a near-native speaker of Mandarin Chinese. If you have experience designing Mandarin Chinese language curricula and creating different types of language exercises, as well as some linguistic training, this position is perfect for you. Help design a new curriculum for our Mandarin Chinese course. Create course content that effectively teaches a variety of skills, including pronunciation, vocabulary, and grammar. Provide high quality translations from Mandarin Chinese to English, and from English to Mandarin Chinese. Strong interest in the mission of Duolingo. Experience teaching Mandarin Chinese as a second language (ideally at college level and to native speakers of English). Native or near-native fluency in Mandarin Chinese. Linguistic training is a big plus. Basic computer skills (Google docs, spreadsheets). Ability to work 20-40 hours a week. Duolingo was founded in 2011 by a team from Carnegie Mellon University and is located at 5900 Penn Ave. in East Liberty (map).